Blanca Games has issued a statement regarding the fate of Absolute Poker and UB's pro player roster. “Recently, Absolute Poker and UB ceased their U.S.-facing operations due to legal developments in the United States. To ensure the on-going viability of the business, it has been necessary to downsize certain aspects of Absolute Poker’s and UB’s operations. These efficiency measures have been taken to enable the brands to continue to operate their non-U.S.-facing business." Eleven U.S.-based pros have been laid off following the events of Black Friday. Joe Sebok, Prahlad Friedman, Eric "Basebaldy" Baldwin, Maria Ho, Brandon Cantu, Tiffany Michelle, Scott Ian, "Hollywood" Dave Stann, Adam "Roothlus" Levy, Bryan Devonshire, and Trishelle Cannatella were all affected by the layoff. “These actions are the result of the severe impact of Black Friday on the business, and these efficiency measures have negatively affected not only the financial position of the brands, but also their staff and personnel. 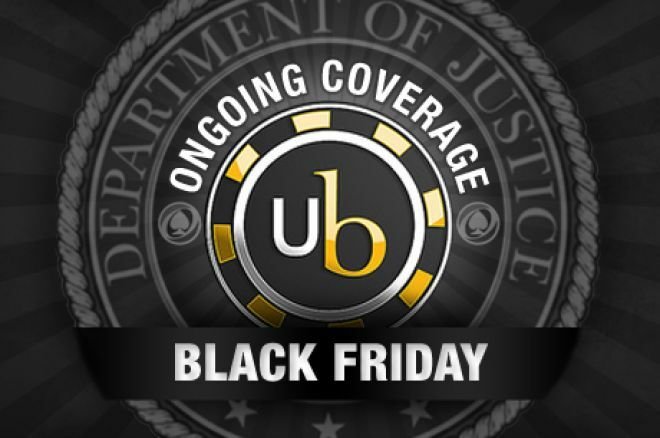 Regrettably, the negative effect of Black Friday has extended to the Company’s highest profile group of poker professionals, known as Team UB. Consequently, Blanca’s executive management team today informed its roster of sponsored pros that, in accordance with the provisions of their agreements, their contracts have been terminated. Each of the ten Team UB pros, plus one player representing Absolute Poker, has received personal notification that their sponsorship arrangement with Blanca’s respective online poker room is now invalid." The layoff of the poker pros, as well as the layoffs from Blanca Games' workforce last week are part of a strategic restructuring plan of the company. These downsizings will help the company focus on its non-U.S. market. According to the press release, the company is still in discussions with the U.S. Attorney's Office to reach an agreement with the U.S. Department of Justice to facilitate the return of U.S. players' funds. Be sure to follow us on Twitter for up-to-the-minute news.